A pagoda umbrella takes this dark glam look even further for an elegant and sleek look on a rainy day. Its distinctive canopy shape creates a beautiful stylish effect, yet is practical enough to provide plenty of cover in the rain. 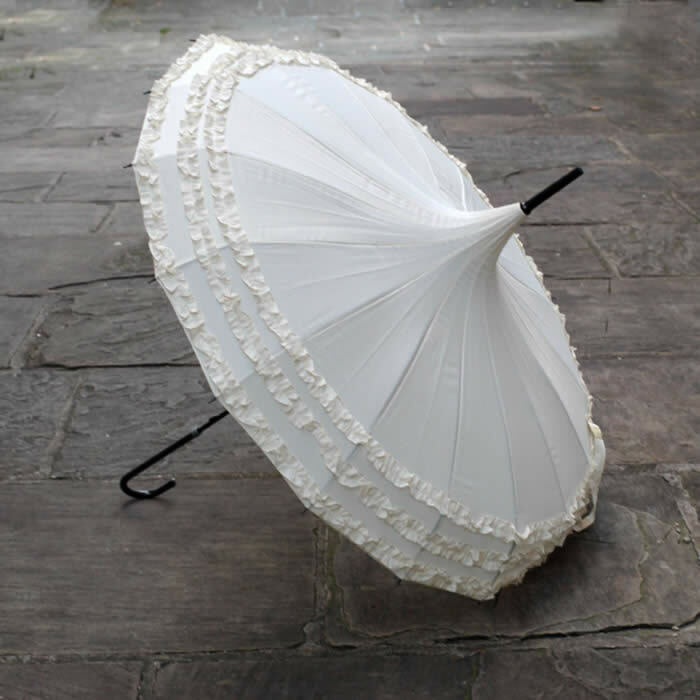 We have a lovely new pagoda umbrella in black and white with triple frill around the edge. 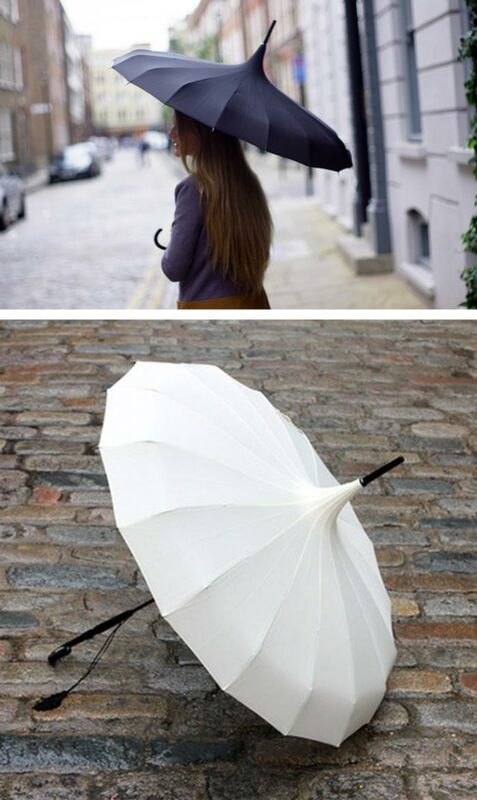 The white pagoda umbrella with a triple frill makes a perfect contrast with a monochrome outfit in moody colours. 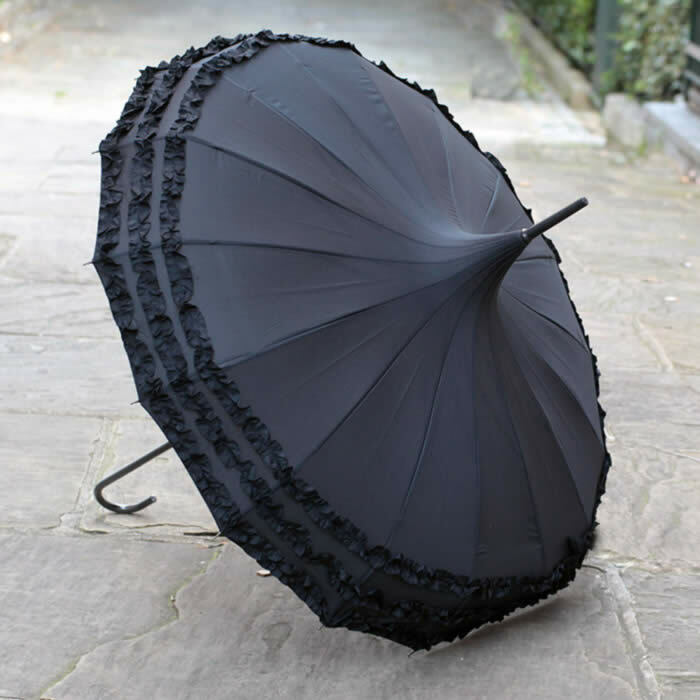 And for a gothic romance look, the frilly black pagoda umbrella is just perfect. If you prefer something plainer but stylish too, our cream and black pagoda umbrellas with a tassel are also an excellent choice for a adding a hint of vamp charm to your look. We are temporarily out of stock of the plain Pagoda Umbrella. We are expecting it back in stock in the next 3-4 weeks.